It looks like we may have skied the last day of spring. Finally, a sunny, warm day to soften the snow. Unfortunately, yesterday’s heavy pow day meant off-piste went quickly from frozen junk to chunky glop. 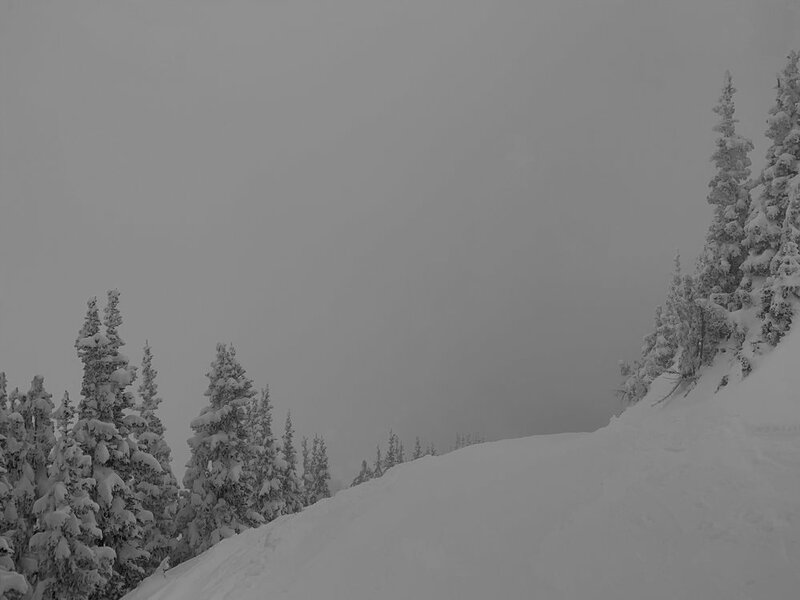 But not before we perfectly timed a few Frontside blast in surprisingly skiable weirdness. Until…. Showtime went over to the Dark Side of thick, unconsolidated gunk. In the morning ice, we searched for smooth grooming. Not to be found up high as Iceberg and Luckyshot had not been groomed. Forest Queen was smoothly groomed and softening early in a lower altitude, low slope angle way. In a Crystal Mountain saving money kinda way, the Campbell Lodge was closed up tight - even the bathrooms. So, after a couple fast low excitement runs, we went back up top. Got a few Valley Bowl runs in during the Goldilocks soft period (it got weird thereafter) as the now full-on sun made us dump our coats, vests, gloves, goggles, and don Hawaii shirt that has not got much play time this year. We then found out where the groomers had been. Snorting Elk Bowl, Sluiceway, Berry Patch, and re-building the Kelly’s Gap Road after Rockface’s coating of wet new snow slide massively. And we found, again, the savior Run-of-the-day. Soft and carvable, we turned the smooth grooming into ditches and bumps. Lower E was, again, the high point for the big soft mogul crowd. “The Crowd” was 3 of us. Over and over. The same crowd that was on the Frontside earlier. Where was everyone? Iceberg it turned out. The Berg was soft, in between ice patches, and like a game of Frogger dodging scared left/right skiers as we tried to go down. It’s called Downhill Skiing…. Back to Our Run (no claims of ownership involved), we ran out the day. This will likely end my ski season, a great ending it will be, as the next 7-day forecast doesn’t look good. I’m hanging it up. Amigoette and I are packing for a month of hiking, mountain biking, kayaking, and snorkeling in Peru, Galapagos, and Ecuador. The next 7 days are forecast to be warm and wet. If it cools off, Crystal will be ugly frozen junk. If it stays warm, rain. Maybe next week some dryer, soft days will happen. New snow will not be your friend and just turn to wet glob like today. Rain may smooth things out and consolidate the junky off-piste. Grab the next warmish sunny day and pretend it’s spring.